People ask if they should start by pursuing certifications or going back to school. Yes, certifications and college degrees are valuable, but not a requirement for getting real project management experience to move you along that career path. Start where you are – at your current job. 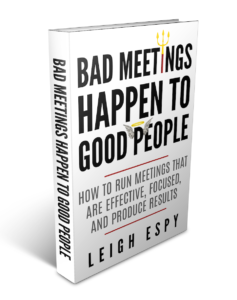 I usually recommend that to get into project management, it’s worthwhile to start looking in the company or organization you’re already working for. You might be surprised at the possibilities for moving into a project management role. Or at least being given a supporting role on a project. Either of these would allow you to gain knowledge and experience right where you are. I got my first project management experience in the Peace Corps, in a beautiful small town in Chile. It was NOT a project management position. Yet I coordinated projects, conducted a gaps analysis of community needs and identified resources, planned meetings, kept documentation, and dealt with small budgets. But when I filled in my Peace Corps application, I never dreamed it was the start of my project management career. Depending on your current work situation, you may have opportunities to take on some project support roles. These could provide you with great project management experience. You might even be able to lead a small project right away. Whether you work in a huge corporation or a small startup, there could be great opportunities to lead project efforts. It doesn’t matter if the project is small. You’ll get practical, hands-on experience even with a small project. Talk with your boss about your goals to get into project management. Let your immediate boss know that you’d like to explore project management as a career path. Ask if there are ways you can start taking on some project support roles to develop those skills. She’ll likely support you in that pursuit. If you have a great work ethic, and are a supportive team player who’s valuable to the company, she’ll want to keep you there. In addition, she’ll also understand and expect that you’d want to grow professionally. Your request likely wouldn’t come as a surprise to her. If your employer doesn’t have a formal project management position you can transition into, see if there are project management activities you can take on in any current work there. Check this list of Project Manager Roles and Responsibilities to see where you might be able to support any current efforts in your company. 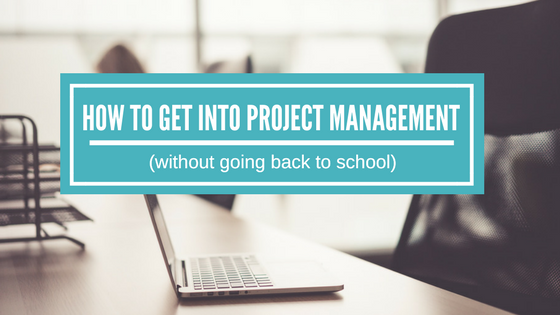 You’d at least be able to start acquiring those valuable PM skills that will help you on the career path down the road. Also check this list of 10 Essential Qualities of Great Project Managers. Identify where you’re already strong, and where you may want to focus on improvement. When you talk with your boss, don’t make it all about you. Consider also how you can use this opportunity to provide value to the company. Your boss will appreciate that you’ve considered this perspective as well. And if your boss suggests starting with a project coordinator role, consider it a great way to get into project management. This article explains how Project Coordinator job responsibilities prepare you as a project manager. If your boss assists you in taking a supporting role in a current project, or gives you a small project to lead, make sure to stay on top of any other responsibilities you may still have. You don’t want to let her – or your team – down. If you’ve got questions about project management as you move into this new role, let me know by leaving a comment or sending me an email. Here’s to your success! What will be the first move you make toward your project management career? For someone looking to transition into project management, I’ve found your articles very helpful. I have been in Human Resources for 10 yrs and have led various projects and have been on project teams. I’m a college grad, have a HR certification (PHR), have taken a PMP course, and am scheduled to take the PMP exam in Feb. I can clearly see how my education and experience would be a good fit to start as a PC but I’m unsure about how to convey it in my resume for a recruiter or hiring manager. Obviously my past resumes were designed with a focus on HR skills and just highlight my project work but how do I make the project work more prominent without it looking like an exaggeration? I’m ready to start applying to jobs and plan to use a cover letter to try and bridge the gap. I know that I have what it takes and can easily talk it up but I worry that I might not even make it through the selection phase if a recruiter can’t plainly see my experience on my resume. Any feedback you can give would be greatly appreciated. I’m so glad the articles are helpful! It’s great that you’re able to clearly see how your past education and experience prepare you to move toward a PM role. – In your resume, highlight several successful projects you led or worked on in a prominent role. – Tell what your role was – especially if you were the Project Lead or project manager on the project. – Use project management terminology to explain your experience – you’ll be familiar with this from your PMP studies, but this post may also help: Project Manager Roles and Responsibilities: What does a PM Really Do? – Highlight the business value or benefits to the company that the project achieved. – Highlight other skills you possess that are valuable as a PM: the ability to communicate across various audiences, decision-making, problem-solving, etc. Good luck on the PMP exam! Once you pass, it will likely make the transition easier.